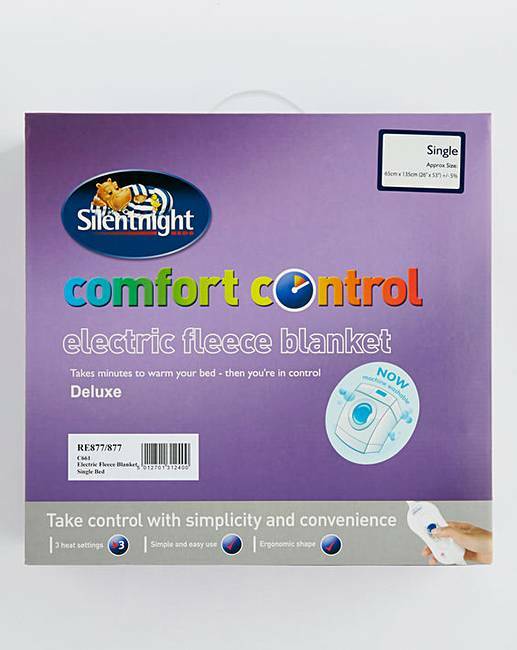 Designed to sit neatly on top of your mattress, the Comfort Control electric fleece blanket from Silentnight heats your bed up in minutes. 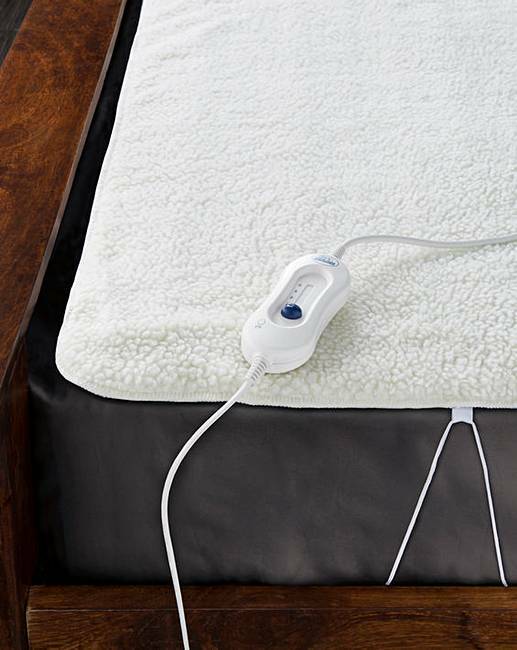 Supplied with an easy-to-use controller, the deluxe fleecy cover offers a choice of three temperatures, including a low heat setting that provides consistent warmth throughout the night. It comes with all the practicalities and safety features you would expect, such as a detachable cord, overheat protection and a 3 year manufacturer’s guarantee against product defect. Machine washable. Warning notice: make sure you remove the electric adaptor before washing - see instructions provided.